Tips for Effective Content Marketing at Your Hotel! Today, successful hoteliers realize that they are in the expectation management business. Each individual traveler is looking for a different experience depending on the preferences of that individual and the purpose of the trip. In today’s competitive hotel marketplace, the key to success is finding a way to exceed guest’s expectations. 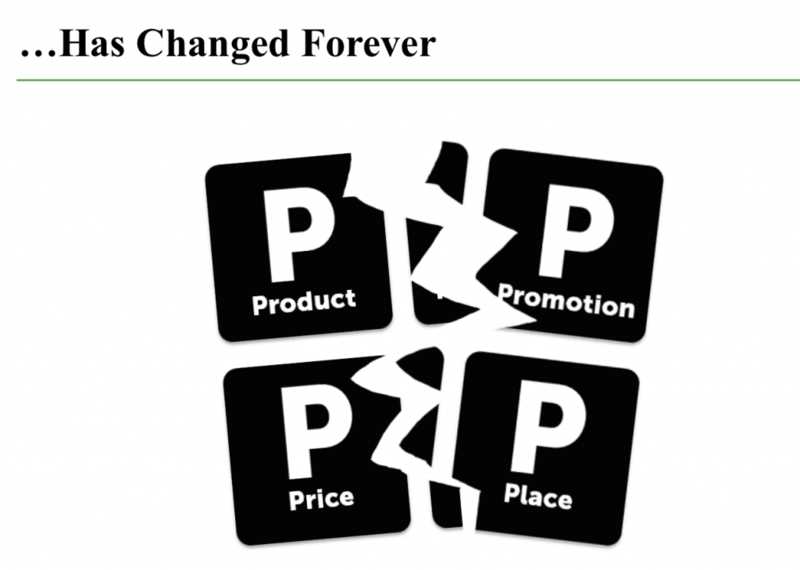 Back in the day, marketing was all about the 4Ps: Product, Promotion, Price & Place. This legendary law of marketing, while interesting, is no longer as relevant as it used to be. 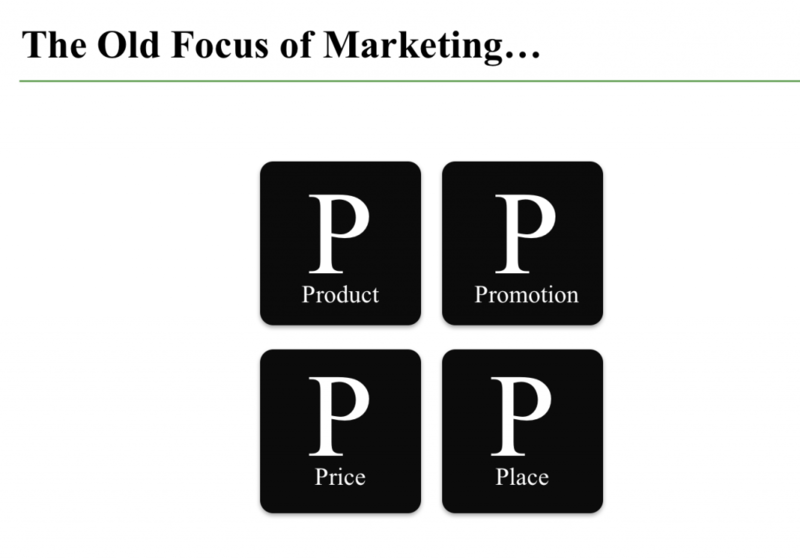 The 4Ps of marketing have evolved. The Internet and social media has had a huge impact on how marketers need to focus their efforts. 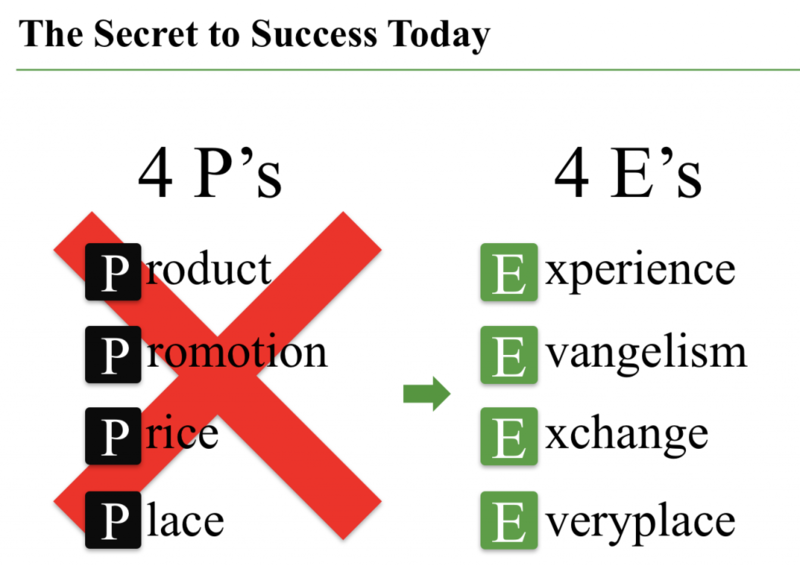 The concept of the 4Ps has morphed into the “4Es”: Experience, Evangelism, Exchange and Everyplace. Following, are a few examples of how clever hotel marketers can take advantage of this opportunity. Today, when selecting a hotel, the decision-making process for travelers is much more likely to be driven by their expected “Experience” than a “Product” focused criteria. Travelers have specific expectations for each trip and those expectations often change depending on the reason for travel, length of stay, etc.. If hoteliers exceed a guest’s expectations for any given stay, more and more will share those positive experiences by “Evangelizing” on TripAdvisor or on one of more than 175 other OTAs and review sites that exist around the world. Reviews, both positive and negative, influence other travelers, impact rankings and the rates hoteliers can charge. The concept of “Price” has also evolved. It is less about the amount of money one needs to pay for a room but rather the experience one expects to have related to how much of their hard-earned money they need to “Exchange” for that experience. Studies have shown that individuals could be willing to pay up to 34% more for a room if they are convinced that the service/experience will exceed their expectations. While “Place”, or distribution, has evolved significantly with the growth of OTAs, it is critical for hotel marketers to remember that all of their properties need to have a presence “Everyplace” – across all relevant channels with good visual and written content. And, with the more than 175 channels that were referred to above, this poses a significant challenge for hotel marketers who must adapt their strategy accordingly to maximize ADR, occupancy and RevPAR. It is important to measure and benchmark guest feedback, however, the real opportunity lies in how hoteliers improve the guest experience. The best results are achieved when all Guest Intelligence is consolidated into one, easy-to-use system, with a common set of analytics, that prioritize where operational and service improvements need to be made. By focusing not only on measuring but also on improving, encompassing both guest feedback from surveys and online review sites, hotels will access detailed insight into what guests liked and didn’t like about their hotel experiences. Organizations that make this cultural shift to become more guest-centric, are achieving remarkable results in enhancing the traveler experience. The most successful hotel marketers are adapting to this industry evolution and understanding the implications and opportunity that the “4Es”offer.